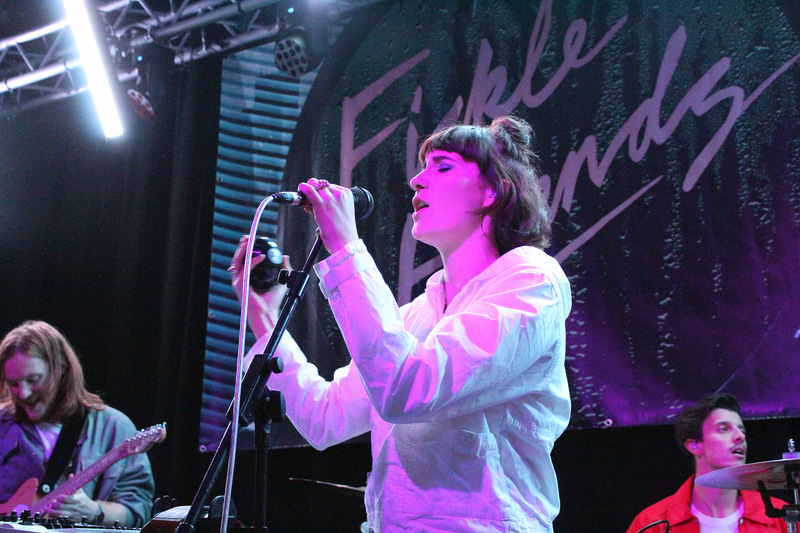 Fickle Friends are gliding into 2017 off the back of a UK tour which saw them decorate a decuple of venues with a kaleidoscopic synth-bleached sunset. The Arts Club was just one of a lucky few to be inflamed by the five-piece’s arena sized anthems. A general swagger is the most intensely striking thing about Fickle Friends – they exude a defined, palpable class which, naturally, seeps into live performances. Make no mistake. These are big pop songs steeped in sophistication, fuelled by a concise songwriting instinct that blossoms with intricacy where it counts. Set list opener, Cry Baby, is a prime example of this. Killer hooks are coated in a palette of jangly guitar work and stabbing flourishes of synth. It’s not a kitchen sink job by any means. 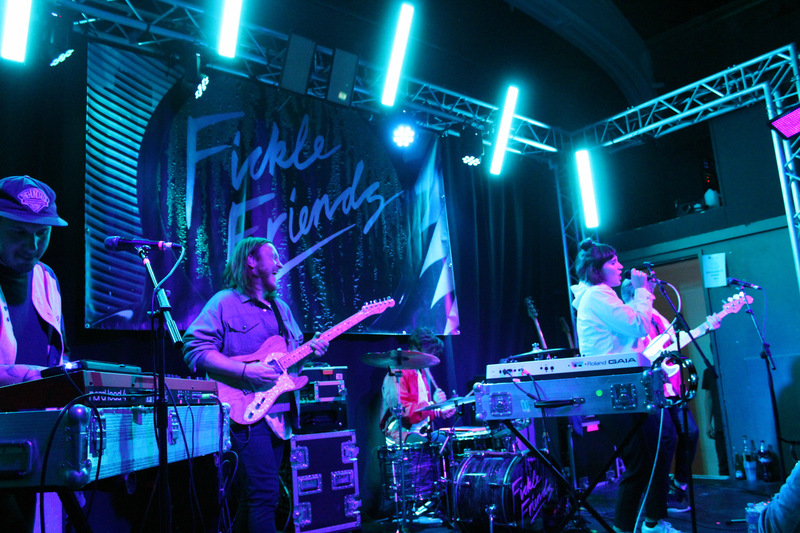 Fickle Friends embrace a pop brevity which is clean-cut and composed in relaying their palm tree-glistened melodies. For some reason, a cluster of publications delight in pinning the Brighton outfit as a homage to the decade that brought us Pac Man, E.T. and MC Hammer pants. Absurdly, it’s fashionable to say that any band who dares touch a synthesizer is halted in a state of 80s longing. It’s cliché twaddle. Ignore generalisations, blank out opinions – including mine, which, also, is utterly useless – and turn off the internet. These evaluations only serve to discolour your expectations of the music. Fickle Friends aren’t digging up the synth-pop era at all. They’re advancing it as modern frontrunners; crafting new, innovative sounds through their adulation for 80s production that, not only flaunt richness on record, but resonate live. In fact, as I was watching every lyric of Swim being fanatically sung back to vocalist, Natassja Shiner, it’s difficult not to wonder: are there any comparable bands generating the same impact as Fickle Friends? I’m certainly scratching my head. 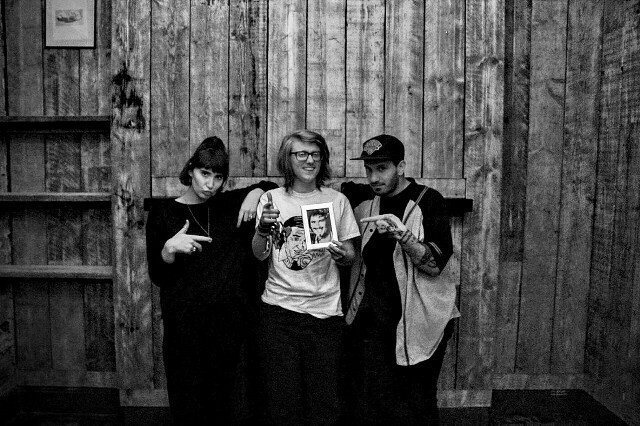 Listen to the interview below with Jack and Natti from the band, well, if interviewing is picking questions from a hat… They even signed a picture of David Hasslehoff for us #BandsSignTat.